Today mystery author JP David stops by to talk about the southern California setting for Double Take, the first book in his planned detective series. Learn more about JP and his writing at his website. It’s a seemingly ideal land of Wedgwood blue skies, puffy white clouds, and meticulously groomed beaches. But like the deep tans and blonde hair sported by many of the residents, what’s beneath the surface can be very different. 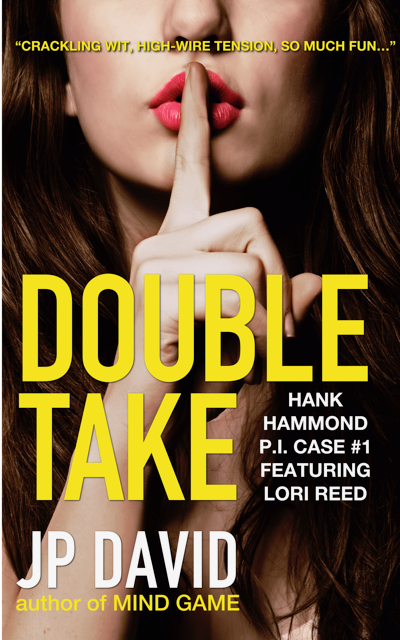 It’s the perfect setting for Double Take, the first of the planned series of detective mysteries featuring Hank Hammond and Lori Reed. 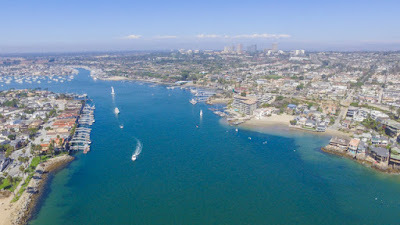 I knew that particular southern California beach setting well because I’d grown up a few miles away, and even worked there for several years. The problem was that in the ensuing years I’d moved all over the country, and had somehow settled in the dry desert of another state. How could I write a novel set in that beach city, when I was now living in a place so different and more than five hundred miles away? The answer came to me as I thought about one of my favorite authors. In Sue Grafton’s alphabet series, private detective Kinsey Millhone solves crimes in Santa Teresa, a town of the author’s own creation based on the real southern California town of Santa Barbara. I’d read that Sue (is it presumptuous of me to call her Sue? After reading all of her novels, I feel like I know her well enough) took delight in controlling the weather, moving real estate at will, changing the orientation of the streets, and not only being responsible for all the homicides in Santa Teresa, but also for solving all of those crimes. I also knew that she was following the lead of Ross Macdonald, another of my favorite authors, who had creatively manipulated Santa Barbara into his fictional town of Santa Teresa. I decided that if it was good enough for two of the greatest authors of detective fiction the world has ever known, it was definitely good enough for me. Plus, it was fun to do! Suddenly Hank Hammond and Lori Reed, my investigative team of complete opposites, were immersed in Kingston Beach, my manipulated version of Newport Beach. La Cave, a very traditional steakhouse in Costa Mesa transformed itself into the too-trendy Totally Tofu. The Bahia Corinthian Yacht Club became the Captains’ Coast Marina. Most importantly, the J.W. Robinson’s department store (later Robinson May and Macy’s) where I had worked in Newport Beach, became Weisbach-Landers. A department store, especially a sprawling, three-story one like Weisbach-Landers, is in many ways like a city unto itself, another perfect setting for a crime. It has numerous neighborhoods (departments), each with its own residents (employees), HOA presidents (department managers), elected representatives (floor managers), and supposedly at the very top is the mayor (store manager). There are traffic problems (crowded escalators), climate issues (“the air conditioning is too damn cold”), health issues (a full service restaurant...don’t even ask! ), politics (corporate policies vs. store priorities, trainees jockeying for promotion), and most importantly, crime. And, as Hank knows all too well, crime at Weisbach-Landers can be way more than mere shoplifting. He knows that because he used to be the store’s chief of police (loss prevention manager). In that capacity, Hank led investigations, supervised a staff of store detectives, and apprehended criminals. After bringing down the biggest drug ring in the history of Kingston Beach—which happened to be operating within the store—Hank quit his job and opened a private detective agency consisting of Hank and, reluctantly, Lori. In their first case, the disappearance and possible murder of a millionaire's grandson, he and Lori find themselves on a dangerous, but surprisingly humorous, adventure that takes them into an exclusive country club, a posh marina, a Dumpster (Hank only, thank goodness! ), and Weisbach-Landers. Double Take could only take place in the seemingly ideal oceanfront city of Kingston Beach, complete with its mix of wealth, glamour, and miscreants. And only within Weisbach-Landers, where Hank knows all the back alleys, suspicious characters, and dark secrets. ONE DEAD BODY? That's almost expected when you're in the private eye biz. But when a second one pops up in even more bizarre circumstances it's enough to make even Hank Hammond, P.I. do a DOUBLE-TAKE . . .
As the newest private investigator in Kingston Beach, Hank Hammond has all the signs of success that he could possibly ask for: the latest detective gear, a shiny red Corvette, an office within a successful attorney's building, and--most importantly--the professional services of Lori Reed, a brilliant and reluctant partner. If only Hank had a client. Enter a cantankerous millionaire. And enter a collection of murderers, thieves, embezzlers, and other assailants including body-building twins and the local police department, all wanting a piece--or preferably pieces--of Hank. Combining riveting suspense, quick wit, and relentless energy, J.P. David takes readers on a fast-moving combination of thriller, cozy, and hard-boiled through country clubs, yachts, mansions, and the occasional Dumpster . . . as Hank Hammond and his indispensable investigating partner Lori Reed face escalating danger and a ticking timeline.